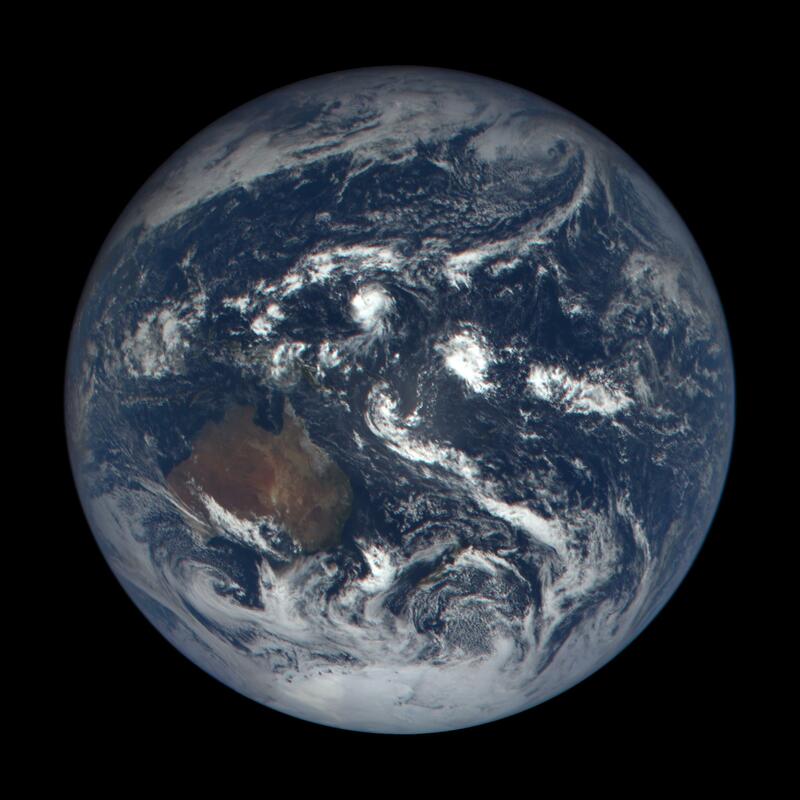 Blue Marble is the first picture of the Whole Earth photographed from space. It was taken in 1972 by Apollo 17 astronauts on their way to the Moon. As Apollo 17 was the last Apollo mission, it remained until recently the only full portrait of the Earth. 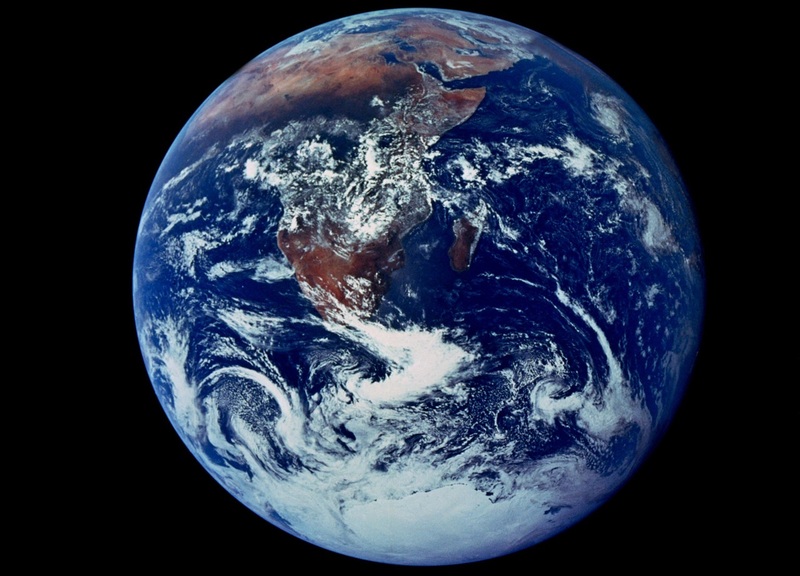 Blue Marble changed humanity which saw its « home » for the first time. 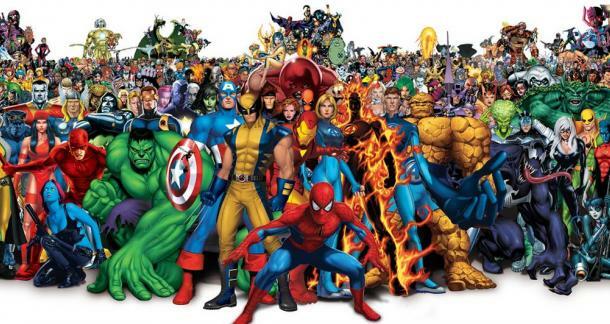 This picture appeared magically at a moment when environmental problems became global. Blue Marble allowed the first development of planetary consciousness and facilitated the emergence of global ecology and environmental movements. Inspired by the Blue Marble’s environmental impact in the Seventies, Al Gore dreamt in 1998 of a satellite that would be sent in space to broadcast live Earth images across the nascent Internet. He challenged NASA to launch this mission before the end of the Millenium. At the age of the Internet, Al Gore had the visionnary intuition that live videos of the Whole Earth would help disseminating this sense of wonder and bring the perspective that is missing to tackle today’s global issues. This satellite had the potential to bring to all Earth citizens the Overview Effect that transformed the astronauts in space. 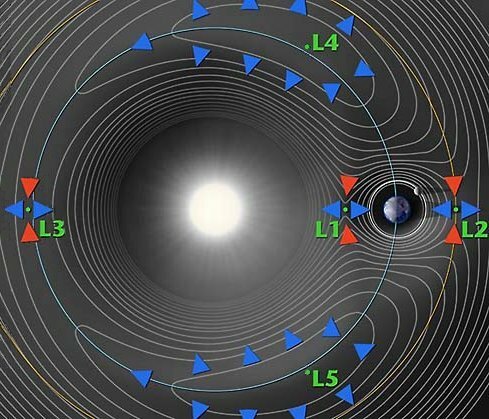 There is only one point in the universe where the Earth is always lit and where a satellite could easily stay : Lagrange L1. Located one million miles (1.5 million kilometers) away from the Earth (4 times the Earth-Moon distance) on the Earth/Sun axis, where gravitational forces of both bodies are balancing each other. NASA took the Al Gore challenge, built the so-called “Triana” satellite and was ready to launch in 2000 before the end of the Millenium. But sadly the mission was slowed down by Republicans when they took over the Congress and fully stopped by the George W. Bush administration early 2001. 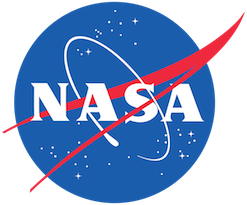 During the Obama administration, the mission was confidentially restarted under the new name “DSCOVR“ (Deep Space Climate Observatory) with a primary focus to film the Sun (early warning system of the Earth in case of solar eruptions) in partnership with NOAA (National Oceanic and Atmospheric Organization) and US Air Force. In February 2015, the mission was launched by a SpaceX Falcon 9 rocket, arrived at L1 in June and transmitted in July the second Full portrait of the Whole Earth taken by the onboarded EPIC camera. However DSCOVR and its EPIC camera only provided static pictures which are of limited interest for the general public. Through its advanced algorithms, Blueturn turned these images into live videos. With Blueturn, experience the living Earth on any screen and be inspired. The next stage of planetary consciousness is starting now. We met in Engineering school in Paris back in 1993. We were neighbours in the student dorms and shared endless night discussions on the way our world could run. In 1996, Michaël showed Jean-Pierre its latest discovery, The Home Planet, a book of photographs of the Earth taken in orbit and accompanied by beautiful astronaut texts. This book mesmerized us and shaped our future. 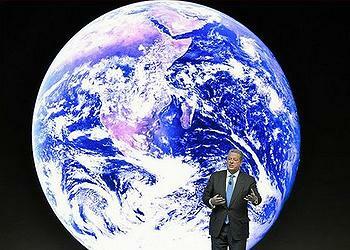 In 1998, we had been both amazed by Al Gore’s Triana vision. At that time, we were both researchers in the US : Michaël at MIT (virtual reality and imagery applied to aerospace) and Jean-Pierre at Northwestern University & Argonne National Laboratory (distributed computing and algorithms applied to energy and environmental issues). They considered at the time applying to NASA to promote these Triana images. After the program stopped, our paths diverged. 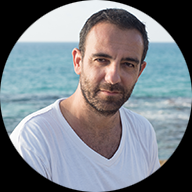 Michaël moved to Tel-Aviv and worked as a software team leader for several large IT firms (Silicon Graphics, Intel) and startups with a focus on 3D imagery and mobile user interfaces. On his side, Jean-Pierre went back to Paris, lead the strategy and business development of diverse startups in energy and environment. 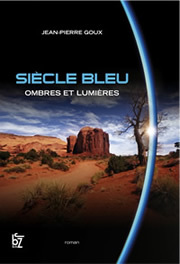 Inspired by the vision of The Home Planet, he also wrote two very popular eco-thriller novels, the Siècle bleu saga (not yet translated into English but Blue turn could be the right translation for the title). In the novels, the vision of the Earth felt by the astronauts, the so-called overview effect, occupied a key role. In 28 days, this vision triggered a (pacific) revolution that changed the world. Blueturn is the natural follow up of these novels into reality. 20 years after, the NASA EPIC images have given Michaël and Jean-Pierre the chance to pursue this dream and share this vision with nowadays technologies and social media. Hopes to live forever and migrate to Mars, also loves to help and be part of cool projects. 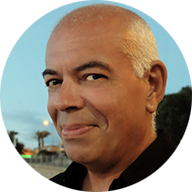 Developing websites since 1995, Jean-Pierre and I met in 1996 when we created the site for the Revolution of the Ants (Bernard Werber’s novel). Yacine Aït-Kaci (Yak, creator of Elyx) for his help on post-production, motion design. 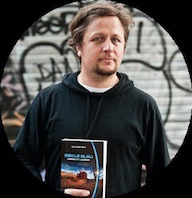 David Jeanne for his work on the User Experience (UX) of the Blueturn app. 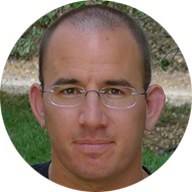 Gabriel Boccara for his help on logo, communication and marketing supports.